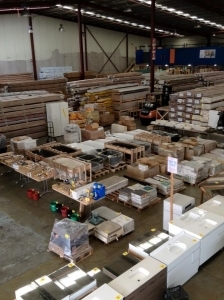 As many of Renovator Auctions loyal supporters already know, we sell a huge range of home improvement supplies every Saturday. 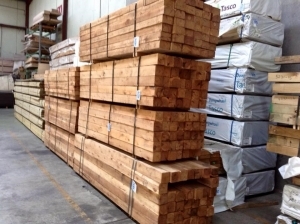 But, do you realise we also have a massive stock of building supplies and building materials up for bidding every Wednesday? Our downloadable Wednesday catalogue is extensive; it’s not unusual for us to have around 2,000 lots premium quality wood and other assorted building essentials listed for auction. can include anything, like door handles and locks, carved fence panels, kitchen utensils, hoes, rakes, water filters, face masks and numerous other items which might be listed one week and never listed again. The majority of our stock is either product over-runs, demonstration or display stock, and discontinued lines. It is always clearly marked in the catalogue on the rare occasion when our stock is not premium quality. Like we always say – you really need to keep watching our Building Materials catalogue. Many people find downloading a copy of the Building Supplies catalogue is an easier way to follow what’s being offered for that week.